Do you remember bringing home your baby for the first time? I do. I’ll never forget it. She was so tiny and rode the 2.5 hours to our new city in my lap. That first night was rough. She whined and whimpered most of the night. We somehow made it though. That was 7 years ago. They grow up so fast. It seems like just yesterday she was a tiny bundle of fur. Now she leaves fur balls everywhere she goes. 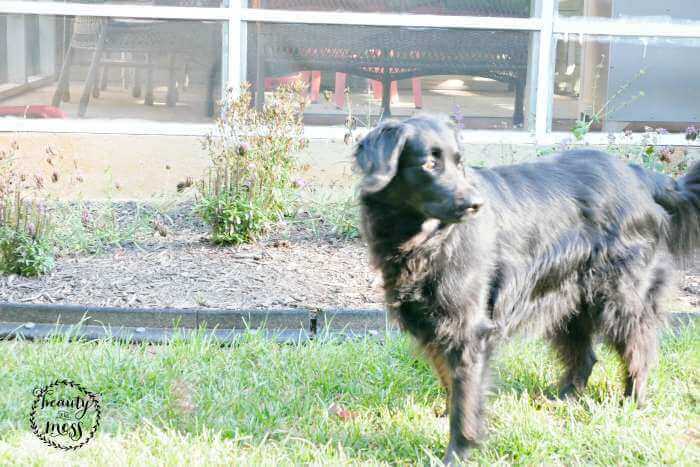 She was once an active pup always on the go, but as the years have progressed, she has slowed a bit. Preferring to stay upstairs in our bedroom or in the closet rather than be around our loud and crazy downstairs. 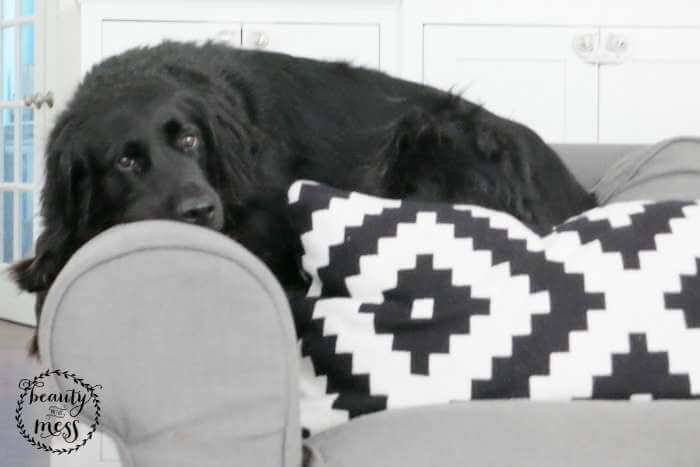 Honestly, I can’t say that I blame her most days. 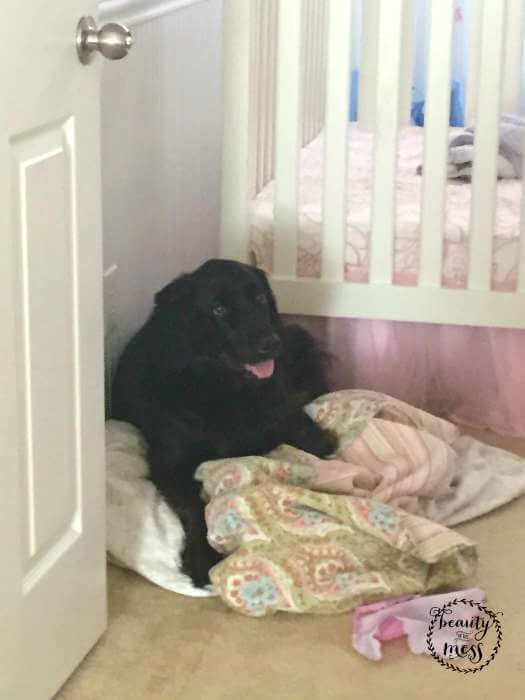 I finally had to come to grips with the fact that although my oldest child is one year younger than our pup, in dog years, 7 years old is in the senior range. I would need to start looking for food choices that would help her age gracefully. 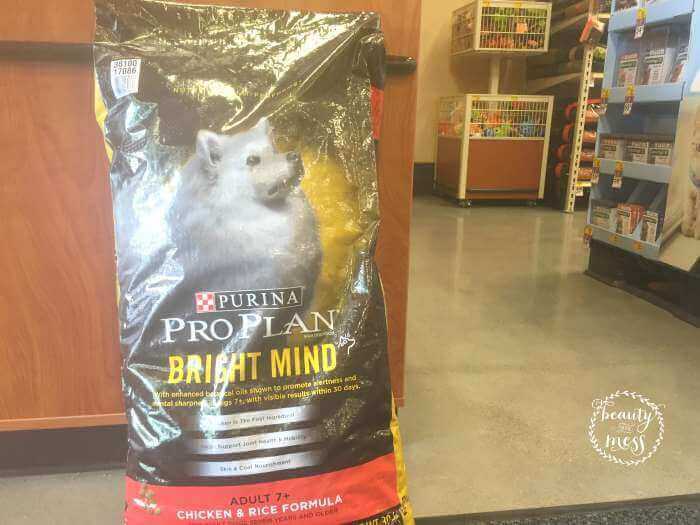 For years we have used Purina® Pro Plan®, so I was excited to learn about their Purina® Pro Plan® BRIGHT MIND dog food. The folks at Purina know their stuff. They came to understand that the glucose metabolism in a dog’s brain begins to start changing around the age of 7+. This can affect memory, learning, awareness or decision making. Thankfully Purina Pro Plan discovered a way to promote alertness and mental sharpness for dogs in this age range through nutrition. Enter in BRIGHT MIND Adult 7+ formulas. 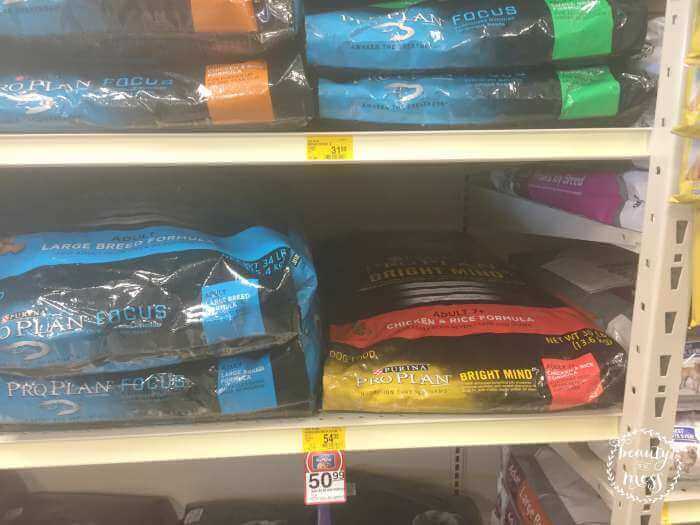 When I first heard about Purina® Pro Plan® BRIGHT MIND dog food, I expected having to see the Vet and it taking forever to find. But that wasn’t the case at all! We walked into PetSMART, saw the display on the left wall, grabbed the food and left. It was so easy! I was excited to see if feeding our senior pup Purina Pro Plan Bright Mind would make a difference in her interactions with us. Hoping that she would become more interested in play and being able to adapt to change better. She has been through a lot. We have had four children since we brought her home. That’s a lot even for me. Ha! Now she is a pup on the move. We’re not quite running and playing like she was years ago, but she is downstairs with us more. She enjoys going for walks and a quick sprint around the backyard. As we continue on Purina® Pro Plan® BRIGHT MIND dog food I expect her movement and time spent with us to increase. Do you have an adult dog? Have the “senior years” snuck up on you? What are some of your favorite activities with your dog?